What can cause a mutation in DNA? Well, if you were to ask the Incredible Hulk (nicely), he would probably say– well not a lot, he’s more of a doer, but Bruce Banner might tell you gamma rays. But that is so 20th century. In a Communication recently published in ChemComm, José Pedro Pedro Cerón-Carrasco (Université de Nantes) and Denis Jacquemin (Institut Universitaire de France) have shown that DNA can mutate permanently if an appropriate external electric field is applied. Application of the right level of electric field can lead to proton transfer, which can cause the formation of tautomers, i.e. isomers of the DNA bases. By interfering with the bases and their interaction, a mismatch or mutation can be induced. Turn the power up a little more and soon I will become Science Girl! : The DNA tautomers form under the influence of an external electric field. Circles indicate the protons that have been shifted compared to the canonical structure: H1 in blue and H2 in red. Cerón-Carrasco and Jacquemin used a computational model to assess the effects of both positive and negative external electric fields on a DNA model to achieve an in vivo-like outcome. When applying an increasing strength of negative electric fields, they saw the more acidic H1 proton shift to the other base; intense positive fields activated the H2 proton. Interested in more? Read this HOT ChemComm article in full! 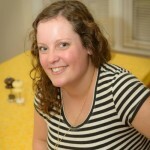 Sarah Brown is a guest web-writer for Chemical Communications. Sarah hung up her lab coat after finishing her PhD and post-doctorate in nanotechnology for diagnostics and therapeutics to become an assistant editor at the BMJ Publishing Group. When not trying to explain science through ridiculous analogies, you can often find her crocheting, baking and climbing, but not all at once. Scientists, led by Renato Zenobi of the Swiss Federal Institute of Technology (ETH) in Zurich, have been investigating metabolites in exhaled breath, showing that each person’s breath holds a unique, characteristic molecular ‘breathprint,’ as recently featured on the BBC website. This means that high-precision chemical analysis of a patient’s breath can potentially provide an instant, pain-free and non-invasive medical diagnosis, and may even provide an early warning for healthy persons at risk for certain diseases. In the future, it may also be used to calculate safe dosages of anaesthesia tailored to each patient’s metabolism and tolerance, or as a fast and convenient doping check for athletes. Using mass spectrometry, Zenobi and his team regularly measured and analysed the exhaled breath of eleven volunteers for eleven days, finding that each individual’s metabolic ‘breathprint’ showed a unique core pattern and remained stable enough to be useful for medical purposes. Their mass spectra of exhaled breath have shown peaks or signals representing around a hundred compounds, most of which they are just beginning to identify and assign. Their findings represent a significant step towards ‘personalised medicine,’ and show great potential for other applications, such as in forensics or metabolomics. Zenobi and his co-workers first published their early work in chemical breath analysis in a 2011 ChemComm article, in which they used their novel method to identify valproic acid, a medication for epilepsy, in exhaled breath. Read the ChemComm article where it all began! Until now, drugs which fight gastrointestinal infections and those which treat acute inflammation have been found to interfere with each other. For instance, people infected with the Helicobacter pylori bacterium have needed to deal with the additional risk of gastrointestinal bleeding associated with the use of aspirin and other inflammatory drugs. Australian research chemists, led by Philip C. Andrews of Monash University, have designed a new drug which treats gastrointestinal infections and acute inflammation at the same time. They have successfully synthesized bispirin, a bismuth acetylsalicylate complex which combines the effectiveness of bismuth carboxylate compounds as anti-infection agents with that of acetyl­salicylic acid (aspirin) as an anti-inflammatory drug. Their initial tests have shown that bispirin’s antibacterial effects are comparable or better than those of current bismuth drugs, and investigations of bispirin’s anti-inflammatory activity are currently in progress. This journal article has also been recently featured on C&EN – read it here. While current cancer-diagnosis methods rely on an invasive biopsy or the detection of cancer-specific biomarkers, South Korean scientists have developed a simple and non-invasive detector for cancer cells that could speed up the early diagnosis of the condition, leading to a greater chance of survival for cancer patients. Cancer cells have been found to differ from normal cells in several ways, including the make up of their cell membranes. Cancer-cell membranes have been found to contain more anionic lipids than normal cells, leading to an overall negatively charged cell surface. Yoon-Bo Shim and co-workers from Pusan National University, have exploited this negative surface charge to develop a probe based on daunomycin, an anti-cancer drug that is known to interact strongly with anionic lipids. A novel cancer cell detection method, based on the interaction between daunomycin (DAN – an anticancer drug used in chemotherapy) and cell membrane components, has been developed by scientists in South Korea. The method uses the electrochemical and fluorescence behaviour of DAN and uses an aptamer probe immobilised on a conducting polymer-gold nanoparticle composite film. he aptamer sensor probes using electrochemical impedance spectroscopy and fluorescence microscopy. The method differentiates between cancerous and non-cancerous cells at low concentrations (0.01μM). Alzheimer’s disease is the most common form of dementia and, as there is no cure, early diagnosis is crucial for treatment to be effective. To this end, UK and US scientists have developed a labelled tracer compound that binds to plaques closely associated with Alzheimer’s disease (AD) so that the plaques can be picked up by a medical imaging technique. The tracer compound is a [18F]-labelled barbiturate and is used with the imaging technique positron emission tomography (PET). Although other radiolabelled compounds have been used as PET tracers, using [18F]-labelled barbiturates for molecular imaging in AD has distinct advantages, such as good blood-brain barrier crossing ability, metabolic stability and easy accessibility. 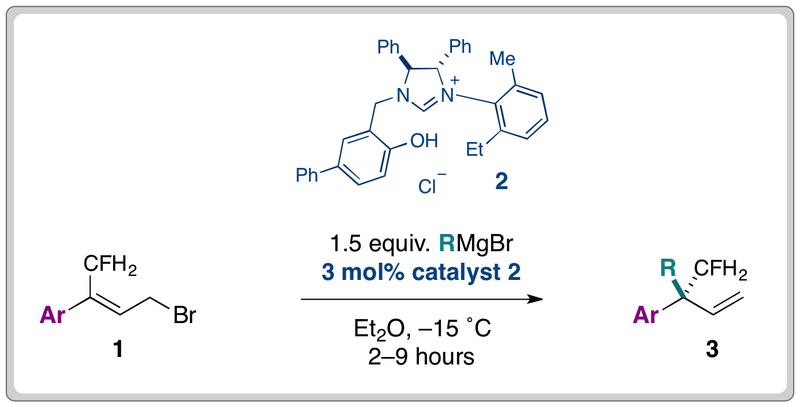 Matteo Zanda at the University of Aberdeen and colleagues, in conjunction with Pfizer in the US, developed several fluorinated barbiturate analogues. The key to developing an effective molecular imaging radiotracer is the ability to distinguish between a healthy individual and someone suffering from a neurological disease, such as AD, they say. Barbiturates have a strong capacity for forming structures with biopolymers and are effective metal ion chelators. As such, the team thought that they would bind to AD-related plaques, which consist of the biopolymer β-amyloid and metal cations, such as Zn(II) and Cu(II). You are currently browsing the archives for the Chemical Biology category.